Not politics, but still my blog. 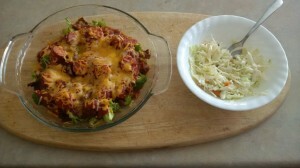 This recipe was hodge-podged of leftovers from the fridge today. Fairly low carb, low calorie. Just wanted to share. 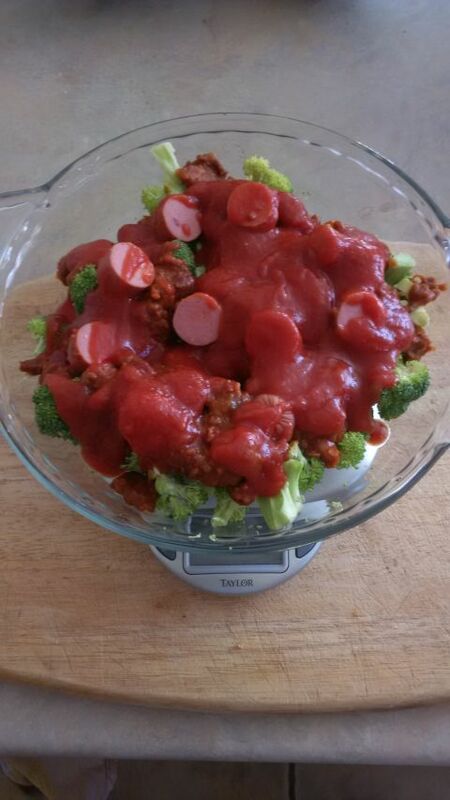 Spread 1.5 to 2 cups of broccoli pieces around a pie shaped casserole dish. 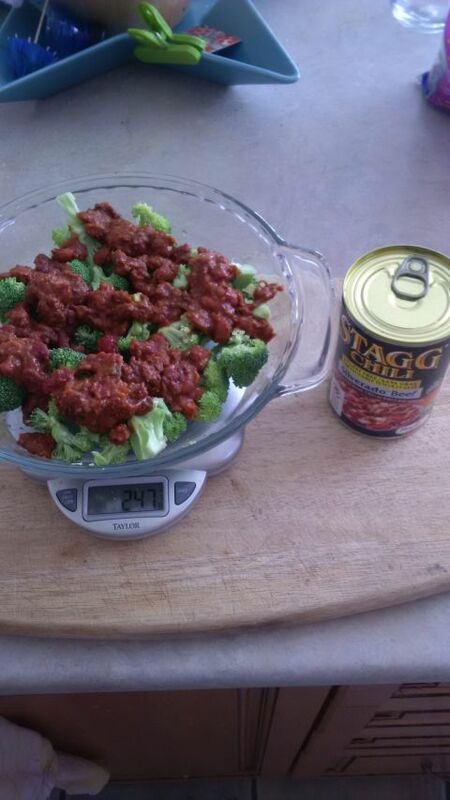 (60 Calories). 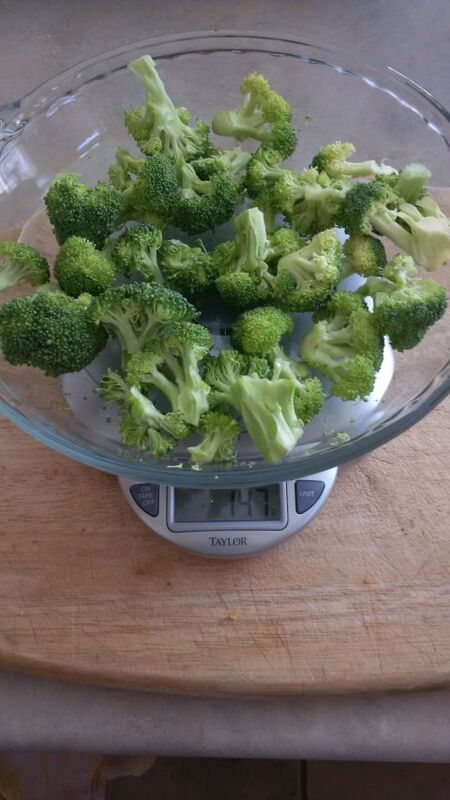 1) Preheat oven to 350F. 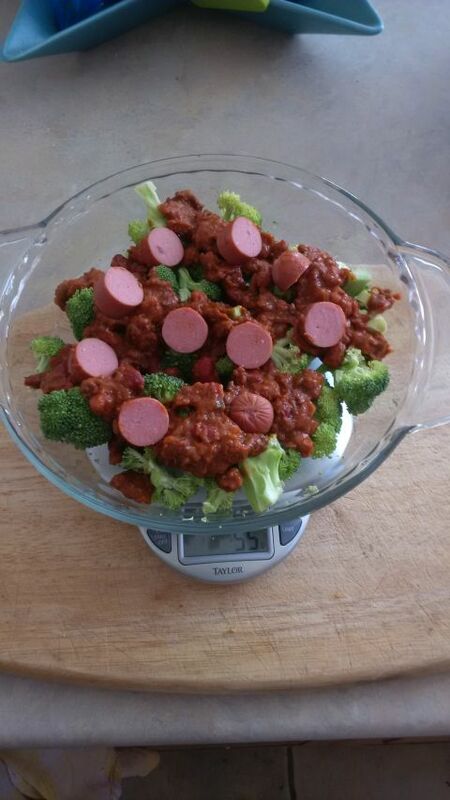 Start your kettle of water to boil. Grease a cookie sheet. 3) Make sure your water is at a boil before starting this step as it will be needed quickly. Mix the egg whites and vinegar in with the dry goods and keep mixing. It will start to solidify but it will be clumpy at this point. 4) Pour in the boiling water while you continue to mix. 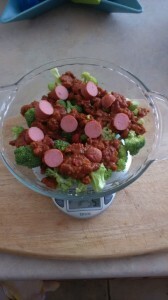 Within 10 or 15 seconds of mixing, it will become a very sticky dough mixture. For me it slides off the paddles quite easily but will stick to your hands quite a bit. 5) break into small clumps of about 1/2 inch high and 1.5 or 2 inch diameter and place onto cookie sheet spread out. 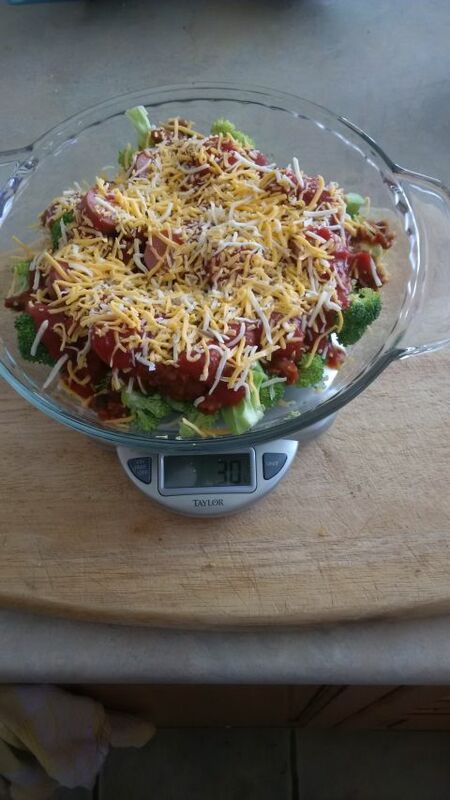 6) Immediately put into oven on the bottom rack for 55 or 60 minutes. 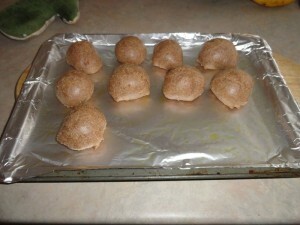 I took them out, broke one open with my thumbs and picture is below. Some soft butter and a knife were close at hand for a pleasurable snack. The rest I am keeping for Easter dinner and a few to bring to work tomorrow. 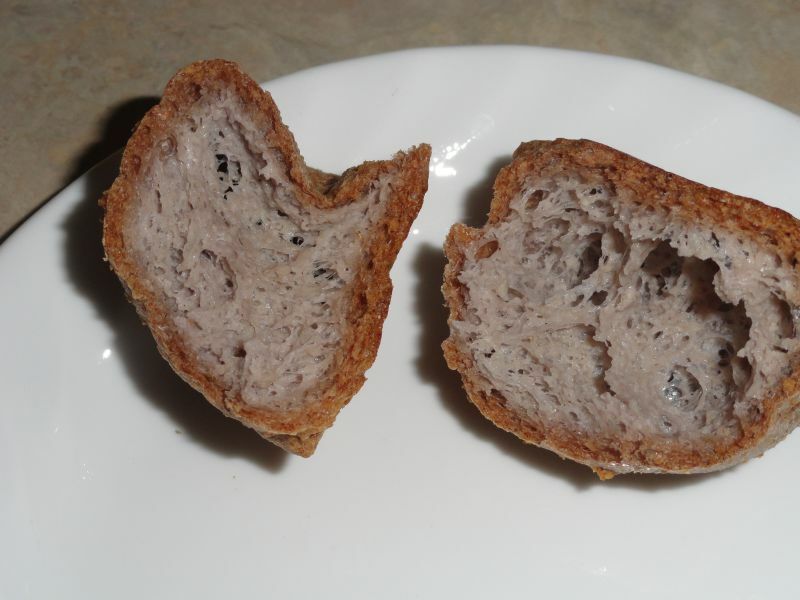 NOTE: I tried making a bigger loaf of this but the inside simply does not cook as well as the smaller versions. 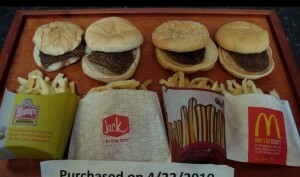 Pictures and nutritional information are below based on plugging the ingredients into a Fitday.com calculator. Hot Damn I love Wednesday’s. As the family schedule goes, I have the place to myself. 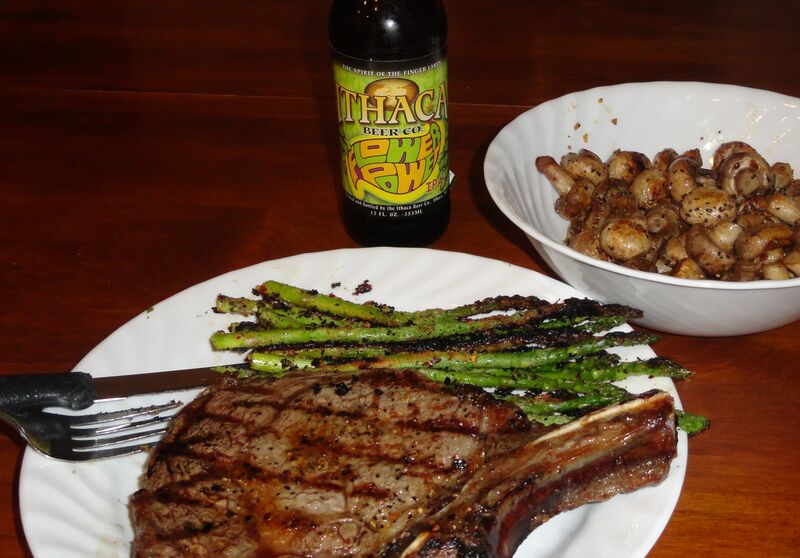 Tonight a quick stop at the grocery store and I had me some grilled asparagus, sauteed mushrooms and a nice rib steak for which I uncovered the BBQ for the first time of the season. 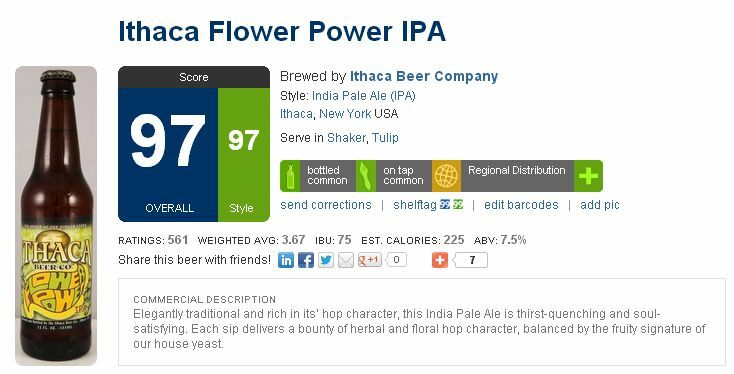 Along with that I opened another gem from NY, an Ithaca Beer Company IPA called, yeah boys, you guessed it….Flower Power. RateBeer.com gives it a 97 rating and a 97 on style out of 100. Very nice and hoppy. I didn’t know what to say and to leave me speechless is a pretty difficult thing to do. 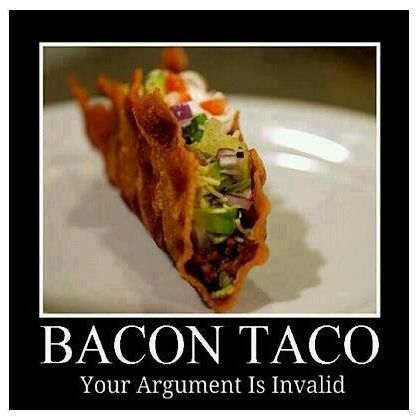 Bacon Taco – What More Needs To Be Said? About once a generation, an idea comes up that is so great that it deserves to be put on a pedestal and worshipped. This is one of those ideas. And it’s Atkins friendly!! h/t to my friend Angie for this.